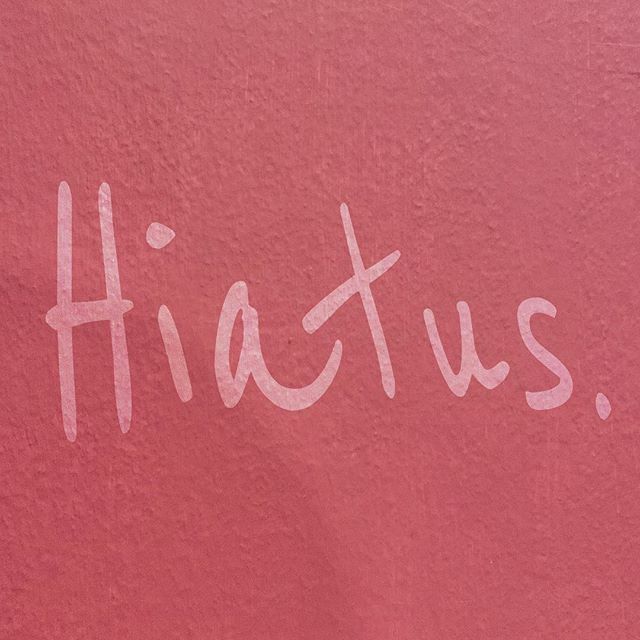 Its hiatus time! I have a non-printing-based project that’s long overdue; in fact, I need to get it done before our new baby arrives (and if you’re interested in what I’ll be up to, why not sign up to the mailing list?) . I’ll still be replying to emails, I’ll still be able to supply anything I have in stock (type, leads, brass & copper spacing etc), I’ll still be able to do estimates for casting and typesetting jobs, but I won’t be able to start any new castings until the beginning of May at the earliest (more likely the middle of May, since I also need to remelt a lot of type). . Once I’m back in the saddle, I’ll be casting some founts of great typefaces like Floriated Caps, Centaur and my newly acquired Alcuin Baskerville (as so beautifully described by @david.wakefield23), and perhaps even the online shop will be up and running. . If you have queries, thoughts about future jobs that aren’t urgent, or if you have questions that I might be able to help with, then I’d love to hear from you. I’ll still be on Instagram too, of course. Can’t keep away. I’ll still be replying to emails, I’ll still be able to supply anything I have in stock (type, leads, brass & copper spacing etc), I’ll still be able to do estimates for casting and typesetting jobs, but I won’t be able to start any new castings until the beginning of May at the earliest (more likely the middle of May, since I also need to remelt a lot of type). Once I’m back in the saddle, I’ll be casting some founts of great typefaces like Floriated Caps, Centaur and my newly acquired Alcuin Baskerville (as so beautifully described by @david.wakefield23), and perhaps even the online shop will be up and running. . If you have queries, thoughts about future jobs that aren’t urgent, or if you have questions that I might be able to help with, then I’d love to hear from you. I’ll still be on Instagram too, of course. Can’t keep away.